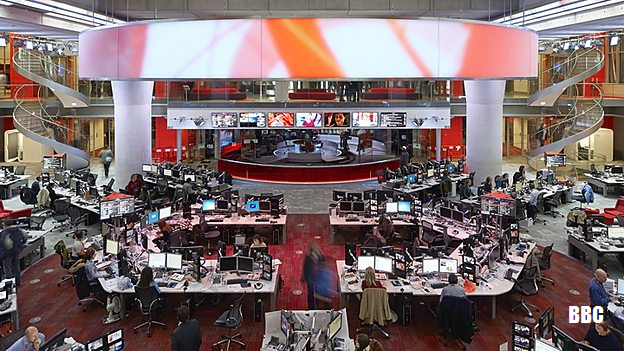 As BBC Management boosts its stock of red marker pens and scissors ahead of this spring's £550 million cuts announcement, BBC Director of News, James Harding has started the year with a warning about the future of BBC News. BBC News is already preparing to cut £5 million a year from its budget, as a result of the so-called 'iPlayer loophole', which may or may not be closed by the Government in the coming months. Now Mr Harding has warned that further cuts - £550 million of annual savings - due by 2021/22, plus a 'difficult advertising outlook' affecting the BBC's commercially funded international services, including BBC World News TV, means that there will have to be major reforms in the way the BBC offers the news to viewers, saying "we can't afford to do everything." First, output. Where do we think people are going to watch, listen to, and get their news, and what do we want to do about it? Second, content. What can we do to tell the story better? Third, how do we ensure BBC News serves all audiences in the UK, regardless of age, identity, income, gender or geography? Young people are consuming less and less traditional media – how do we cater for them? And fourth, the way we work. How do we invest in people, reduce costs, increase opportunity and improve the working culture? So does this mean that the BBC News Channel could be cut? Based on the first rounds of cuts, it's been established that not much will be saved by closing the channel, as a lot of the resources used for the Channel are used across other BBC outlets. But with further cuts on the horizon, a further pooling of resources with international channel BBC World News and further simulcasting with World News is a distinct possibility. 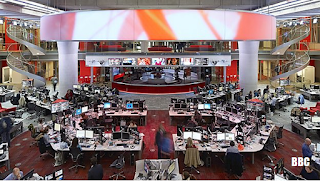 Last year, the BBC News Channel and BBC World News began simulcasting the 8:30am edition of Business Live, the 9pm edition of Outside Source, plus World News Today from Friday to Sunday at 9pm. There are also questions on how much longer BBC Two's Newsnight can continue to justify its own budget, with dedicated correspondents, despite the programme being the subject of a number of budget reductions since 2005. From this week, BBC One's 10pm news is extended to thirty minutes of international and national news, followed by 15 minutes from the nations and regions, following a successful pilot last year, going head-to-head with ITV's refreshed 10pm bulletin. In essence, the main international and national programme, fronted by Huw Edwards will only receive a few extra minutes on air, with the BBC's nations and regions being the main beneficiary. For the time being, the second part of the pilot, which saw the regional news in England shortened at lunchtime is not taking place. We have a dedicated BBC News channel, why can't the main evening news move there now that everyone can receive BBC News post switchover? Why do we need to continue with a hole in prime time viewing on BBC1? Why do we need any news on any BBC TV channel other than BBC News? That's never been done before around the world. Generally viewers still expect a round-up of the day's news at a prominent point of a main channel's prime-time schedule (so-called "appointment to view"), whereas the News Channels are subject to breaking news where regular round-ups of news are suspended for wall-to-wall coverage of a particular event. It's also doubtful if the BBC could afford to fill any slots vacated if the news bulletins went News Channel-only. If you wish to be ignorant to the world so be it, but the soaps is still other than EastEnders the most watched thing on TV most days and as stated above all moving it would do is leave holes in the schedule which are costly and difficult to fill, just has as happened with childrens TV. It's a decade since CITV ended and they've only just sorted the afternoon schedules out (and still have nothing of worht in the Saturday morning slot), while BBC2 is all filler in the slots once occupied by kids shows. Back to closing the news channel and I'm seeing BBC3 all over again with this. I get the impression the decision has been made and they're deliberately running down the channel - it's already had it's hours effectively cut from 8.30am to Midnight to 11pm-8.30pm.